Explore the birth of American art throughout this 3-hour walking tour and seminar. Philadelphia became a hub of cultural and artistic development in the early 19th century and continued to inspire artistic exploration for nearly a century. Led by an art historian, you'll partake in a robust discussion of early American art and its founding in the birthplace of America. Explore the world of American art on this 3-hour walking through Philadelphia. Led by a knowledgeable art historian, your small-group will delight in a discussion of the cultural and artistic history of Philadelphia and greater Pennsylvania. 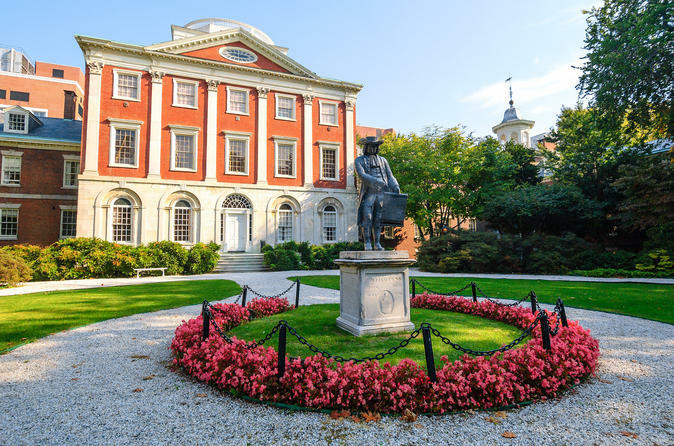 Begin your tour with a discussion of Charles Willson Peale, a friend of Thomas Jefferson and the great portraitist of George Washington, who lived for a time near Independence Hall and used the structure to display his growing collection of art and natural specimens. Examine Peale's museum (generally considered the first modern museum) in the context of the Enlightenment, before focusing the tour on his work as an artist. Your guide will lead your group toward a discussion of early American portraiture and artists such as Stuart, Copely, and West. Discover how the institutionalization of “American Fine Art” took shape in the cultural hub of a still-young America. On a larger scale, your guide will apply themes of Trans-Atlantic influence, philosophical inquiry, and evolving civic and national identities to your conversation of artistic development in America. Your walk will continue to the Pennsylvania Academy of Fine Arts, the United States' first successful art academy. Encounter Peale's "The Artist in His Museum," along with works by West, Stuart, Krimmel, Raphaelle Peale, and other local Pennsylvania artists in the Academy's collection of American art. Explore the role of the Academy and various art movements and communities in the region from the birth of the nation to today.